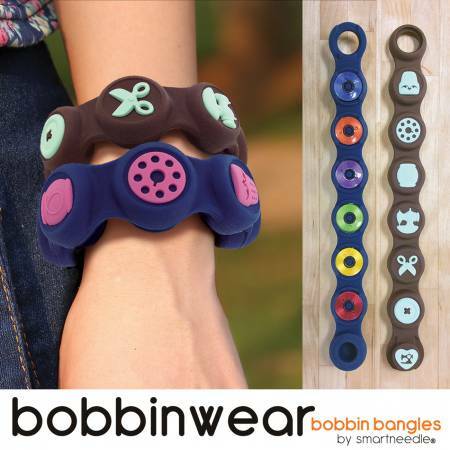 "- Unique bobbin holder that can be used as a bangle or as a link. - Use it to transport bobbins or as a fashion statement, makes a great gift! - Made of quality silicone and comes in 2 colors (blue and brown). - Fits Type A (class15) ,Type L (class 96) and Type M bobbins."